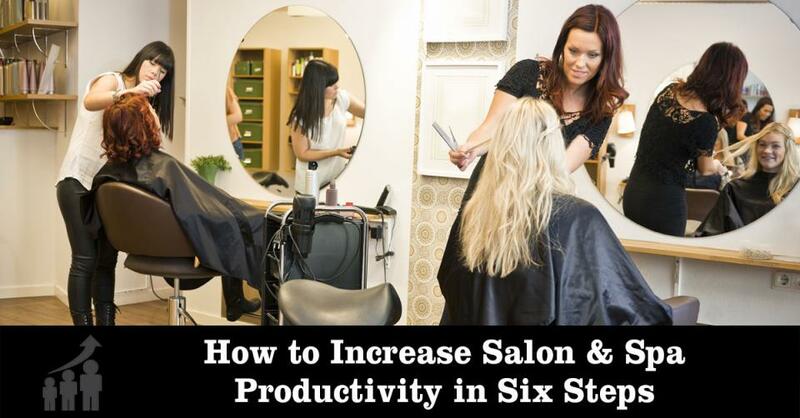 So, your salon/spa is not as productive and efficient as it should be. You’re certainly not alone and share the same frustrations as many of the country’s top salons and spas. Now, how do you reach the target benchmark of +/- 85% productivity and achieve the kind of profit levels that you deserve? There are six strategies to accomplish this objective, and they don’t include layoffs, closing locations or other drastic and painful measures. However, if your productivity rate is less than 40%, decisive steps may be required today to ensure the salon/spa’s survival and success tomorrow. For most salons and spas, it’s a question of prioritizing the right activities to increase output. On average salons and spa retain only 30% or new clients. Imagine what your appointment book would look like if 80-90% of clients pre-booked before they left the salon/spa. You know what that does to your productivity rates? They skyrocket. And you know what that costs? NOTHING! Now think about how much you spend on marketing only to run at 30% retention. Get it? What most owners fail to realize, is that client retention is the most powerful revenue producing and productivity building strategies available to them. The salon/spa must do everything in its power to make it easy for clients to come back sooner, not later. Pre-booking clients should be standard procedure — as long as it doesn’t create appointment gridlock for service provider too far in advance. E-mails, automated marketing programs (Demandforce), last-minute booking portals (WebOpenings) and courtesy calls are excellent tools to increase the frequency of client visits. Many times service providers are not as diligent or consistent as they should be when prescribing the proper maintenance frequencies for the services provided. Often times, they confuse prescribing with selling, and as a result, productivity suffers. Check out Strategies Happiness System for a painfully-simple approach to increase pre-book, client retention and retail sales. Now is a good time to schedule “client visit frequency” as the topic of your next staff meeting. Prepare some notes and figures detailing the revenue potential of a client that visits the salon six times a year versus four. (Use your average ticket rate to calculate the figures.) Have the staff make recommendations for increasing visit frequencies. Set team goals for the next three months and go for it. Many salons and spas suffer from “have and have-not” syndrome. This means some service providers have waiting lists, while others stare at the empty spaces under their names on the appointment schedule. Fostered primarily by service provider followings, this counter-productive practice represents the single most damaging cause for substandard salon/spa productivity. The pipe dream theory that if you build each stylist until they are booked with requests and eventually all the chairs/massage rooms will be full and productive simply doesn’t work in the real world. If there is time available on the book and clients are not put into those slots, the business will be unproductive. While a few service providers may reach high productivity rates, it’s the ability of the entire salon/spa to efficiently use its resources that determines how productive and profitable it will be. New service providers are a largely underutilized resource at many salons/spas. Some require new service providers to “build up” their book by taking all walk-ins or non-requests. This waiting period only contributes to a lack of productivity and sales. Salons/spas should develop systems (like Team-Based Pay) to reward staff for introducing and referring clients to new staff members and to encourage veteran clients to try the new person. Many clients will like the option while others will prefer to stay with one stylist or massage therapist. Download Strategies’ FREE Team-Based Pay White Paper to learn how to make a team-based culture make you and your team more productive and more money! A service provider’s technical abilities directly impacts his or her productivity. It is highly unlikely that staff who are lacking the necessary skills to perform a service will recommend or prescribe that service to a client. That hurts productivity and profits! Getting the skills of your staff up to speed to meet and exceed the needs and expectations of clients is crucial to improving productivity. A comprehensive training program that certifies stylists in all services creates an ideal learning environment in the salon/spa. But this will work only if leadership takes a vested interest in the development of the skills of each staff member to make them as quality conscious and productive as possible. Also, if you are going to reward a team effort as detailed in #1 above, you must be able to ensure the skills of the least productive service providers in the business. Poor productivity and down time in a salon/spa is often the result of “nothing being sold.” Prescribing new or ancillary services beyond what the client requests is what the salon/spa business is all about. The team and training effort is important because busy staff can prescribe services to a client that can be performed by other qualified and available staff members. This approach dramatically improves productivity and sales performance by creating revenues that otherwise wouldn’t have occurred. Your selling system should help staff address each client’s needs and prescribe the proper products and services. If the business also becomes adept at departmentalizing these services and sharing clients without the typical staff animosity, then the selling system will boost the company’s overall productivity. A well-trained front desk coordinator can help eliminate downtime by advising service providers in advance which staff members have time available, and to concentrate on directing business to those individuals. You must have a complete marketing plan that acts as an engine to pull your business forward. If you don’t have a marketing plan, it’s a sure bet your productivity and efficiency performance is suffering. And no, a few Facebook posts and an ad in your local newspaper is not a marketing plan. 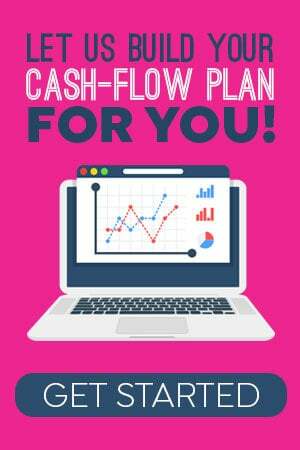 Your plan should include a calendar and budget for all seasonal promotions, on-site events, signage, social media, scripting, web-site, print ads and more. Wake-up call: If you’re not actively studying how to market in the digital age, your competition most likely is, and they are going to leave you in the dust. The challenge for most salons and spas is knowing how to use what you have and to be more productive. If your productivity rate is below 85%, use these six ideas to get you started. Some of the strategies will work for you right away, others will produce results down the road. Run your productivity reports every month to track improvement. As I step from behind the chair after 3o yrs., I look forward to looking more closely at our systems and fine tuning them! As always, Thank you for the wisdom that Strategies always continues to deliver!